Once in a while a travel book comes along that pushes at the boundaries of the genre. 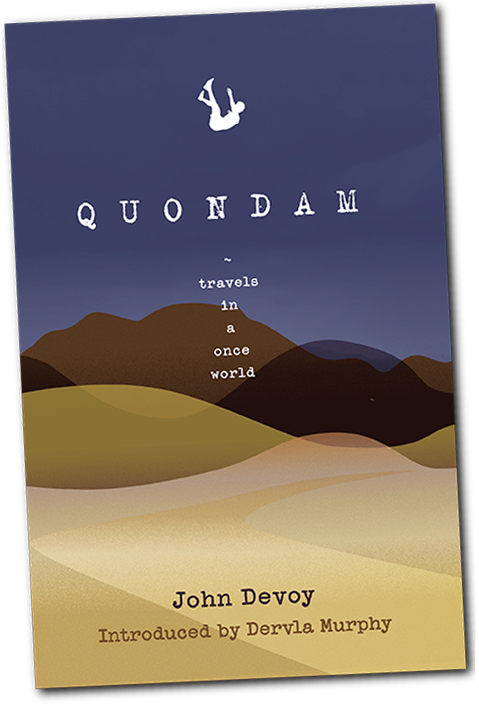 Quondam: Travels in a Once World does exactly that, asking us to re-imagine the relevance and potential of travel—in this case an epic, true-grit expedition by bike through the heart of Africa without the umbilical cord of technology, when being on your own meant exactly that. A superb observer and story-teller, John Devoy recounts his adventure in an imaginative and captivating style that has won the admiration of Dervla Murphy and Ted Simon , two writers who have left their own indelible marks on the literature of travel.